From decadent medieval popes to modern televangelists with private jets, religion and money can make for an unsavoury mix. But why do we think of charity – care for the poor and the sick – as a good in the first place? The Graeco-Roman world didn’t think so: they mostly thought the poor and suffering deserved what they got. This segment traces how Jewish thought, turbocharged by the teaching of Jesus, transformed the way we think vulnerable people should be treated. JOHN DICKSON: Long before Jesus, the laws of ancient Israel called on people to care for the poor, regardless of citizenship. ACTOR (DEUTERONOMY 24:20): When you beat the olives from the trees, do not go over the branches a second time. Leave what remains to the foreigner, the fatherless, and to the widow. JOHN DICKSON: It’s an amazing thought. The Creator has given me more than I need, not just so that I can enjoy more, but so that I can share it with those who have nothing. The surplus of the rich actually belongs to the poor. It is no exaggeration to say that the ancient Jews invented what we call charity. MARTIN GOODMAN: What drove this is part of the tradition as the way in which the community should act as a community. And it’s clearly seen as a “mitzvah” – a requirement – rather than something optional, as something you can do if you wish to be altruistic. It’s very distinctive within the ancient world. IAIN PROVAN: In the Old Testament, that really counts as a very serious imperative – that you must allow the poor access, that the poor are stakeholders. And so, even if you own land, you are supposed to allow some access to the poor to that land because in the end of the day you don’t have absolute ownership of that land. You are only looking after it on behalf of God. You’re a tenant of God. So again, the theological perspective directly impacts the moral duty that you perceive. JOHN DICKSON: Christianity inherited the Jewish emphasis on using resources for the poor. The innovation of the church was to open up this charity to the world – to Jews, Samaritans, Greeks and Romans, believers and unbelievers alike. The church’s reputation for charity was so strong, that in the year 329 imperial officials decided that churches should be exempt from taxation. This was no special treatment – plenty of civic associations were also tax exempt. The reason in this case was entirely practical. Who else was going to look after the destitute? The legislation itself explains: “The wealthy must be there to support the obligations of the secular world, while the poor are maintained by the wealth of the churches.” Long before anyone had thought of state-sponsored welfare, charitable services in the Western world were entirely the business of the church. RODNEY STARK: The key factor I think in the growth of Christianity was community. In a world that had no social services, a world which had many slaves and very poor people, here was an organisation in which people took care of one another, which in a sense provided social services that weren’t there for anyone else. I’m not sure that, you know, I’m not suggesting that people joined Christianity for ulterior motives or just because they got a free meal. But there were enormous advantages and that certainly didn’t hurt. JOHN DICKSON: As the church got on with the serious business of charity, one emperor panicked. Emperor Julian was a devout student of Greek philosophy and religion. He studied for a time here in the Academy of Athens. And he despised the new religious upstarts. Julian left us a collection of almost humorous letters to various imperial officials complaining that the Christians cared for everyone. He was worried that they were going to take over the Roman world by the stealth of their good deeds. In one letter, he wrote: “The Galileans have devoted themselves to philanthropy. They have their so-called love-feasts, or hospitality, or service of tables – they call it by many names because they have many ways of carrying it out – and the result is that they have led a very many others into their atheism.” He calls Christianity atheism because it denied the Greek and Roman gods. But perhaps the most interesting letter is one he wrote a few years later to the pagan high priest of Galatia, named Arcacius. In this letter, he gives the equivalent of millions of dollars of the imperial purse to establish a welfare system in the pagan temples modelled on the one he saw in the Christian churches. He wanted to beat the Christians at their own game! JOHN DICKSON: Julian died the next year, and so did his welfare program. But the churches went from strength to strength. DAVID BENTLEY HART: Pagan culture didn’t have either an organised moral language or the institutional will or the personal will to do what the Christians did. And so, in the early ages this is the first great change, is this special concern for those who occupied, not just the margins, but lay beyond the margins of society – those who were not important, those who were part of the steam that would have been dissipated in each generation, the leftover. MARKUS BOCKMUEHL: Many of these values – the values of welfare, of care for widows and orphans, of the support of those who are weak – are I think one could say difficult to imagine if it had not been for the impact of Christianity and indeed Judaism where these things were regarded as essential and in a sense a response to God’s grace and a response to God’s reaching out to humanity. Is it your impression that the Church is more focused on giving or on getting? Write your definition of the word “generosity”. Describe a time when you’ve been generous to another person or group of people. Describe a time when someone has been really generous to you. Write down good and bad reasons to be generous. Make a collage of four images that symbolise the word “charity”, and explain why you chose those images. 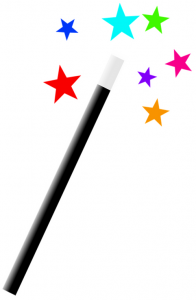 Imagine you have been given a magic wand that allows you to help one group, in one place, at one time. Which group would you choose to help, and why? What were the “older foundations” that the Christian commitment to charity was based on? What is your reaction to the Old Testament idea that “the surplus of the rich belongs to the poor”? What might this show us about the character of God? 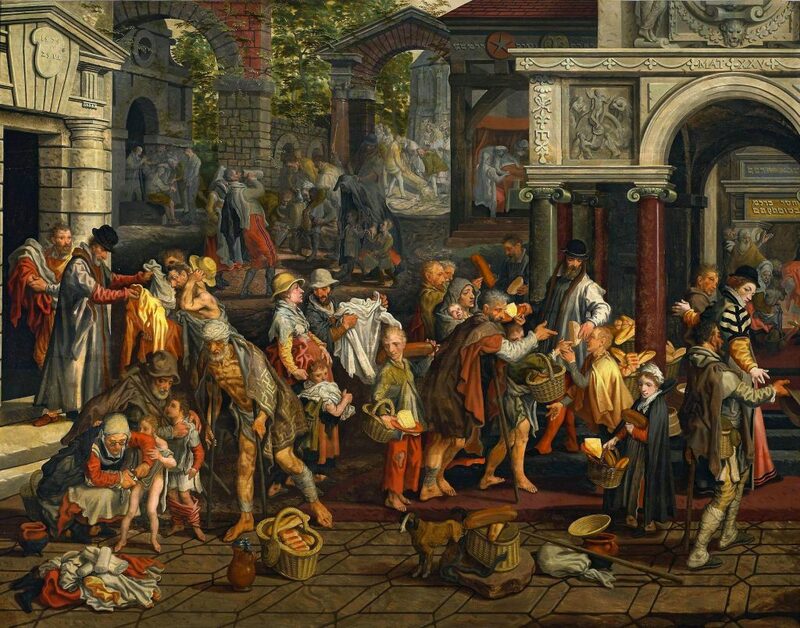 How did the early Christians expand the Jewish idea of caring for the poor? Evaluate how the values of community care and generosity may have contributed to the growth of Christianity. Why did Emperor Julian panic? What did this cause him to do? Re-enact a conversation that Julian might have had about this with one of his advisers. What was ironic about Julian’s response to the Christians’ welfare program? Markus Bockmuehl says that “the values of welfare, of care for widows and orphans, of the support of those who are weak” are “in a sense a response to God’s grace and a response to God’s reaching out to humanity”. Brainstorm what you know about what “God’s grace” means. Brainstorm what you think “God’s reaching out to humanity” is referring to. In what ways could the actions of these early Christians be seen to be motivated by the belief in God’s grace and the belief in the value of every human person? How might these values have shaped the way modern society cares for the poor? What does God command the Israelites to do in these verses? What would have been challenging about this? How could someone sell all their possessions and give to the poor, and not be afraid of the future? What do you think Jesus means when he says, “For where your treasure is, there your heart will be also”? Draw an image to reflect the description of the early church in this passage. What strikes you about this? Do you show generosity to others? How could you show more? Imagine you are given a grant to create your own charity. Make a poster with the key information about what your charity would be for, and the principles behind it. How could you apply the principle from Deuteronomy in today’s society? Are there any modern examples of this? What principles guide their work? Do you think they have been influenced by Judeo-Christian values? If so, in what ways?